A lot has changed since our last news roundup as cryptocurrency markets have dipped a bit in value since. At the time of writing Bitcoin (BTC) has an average price of around $6150 per coin and the total valuation of all 1600+ coins is around $248 billion today. Other cryptocurrencies such as ETH ($439), ETC ($15), LTC ($80), BCH ($720), QTUM ($8.60), XRP ($0.47), and ADA ($0.12) are all seeing market consolidation during this interesting year. Cryptocurrency markets have been consolidating into a tight triangular pattern this week as many markets have seen losses between 8-20 percent but since then most of the top digital assets have spiked 1-7 percent over the last 24-hours. 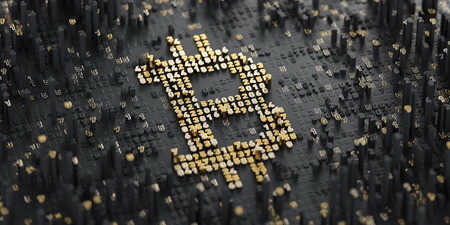 At the moment the number one cryptocurrency according to market valuation, Bitcoin (BTC), has seen nine-week high as far as market dominance is concerned. Today BTC’s overall valuation amongst all the other digital assets is 42.4 percent. Bitcoin and Ethereum markets have seen a nice spike two weeks ago when the U.S. Securities Exchange Commission detailed that decentralized cryptocurrencies like ETH and BTC were not deemed securities under U.S. law. This week in the Ethereum realm Stanford University students created 16 Ethereum-Based dApps (decentralized applications) as a demonstration for the schools’ active blockchain deployment. Participants of Stanford’s CS 359B program called “Designing Decentralized Applications on Blockchain,” build the applications using the Ethereum network. “Alongside lectures, there will be a quarter-long project where students design, implement and evaluate a novel distributed application on a modern blockchain, such as the ones of the Ethereum or NEO cryptocurrencies,” explains the program. This week Bitcoin Cash (BCH) fans saw the launch of the new Github tipping application Gitcash.io. The application allows developers using the popular platform Github to tip each other in BCH. A great majority if not all cryptocurrency developers use Github to host their open source code online so people can use it, contribute to the software, and even fork the program. GitCash is a Bitcoin Cash tipping platform for Github! We support custom user profiles, complete tipping histories, and custom BIP38 paper wallets,” explains the Gitcash.io developers. The Cardano (ADA) team has sent out their newsletter which details the developer’s roadmap for Q3 2018. The ADA wallet has seen a significant improvement over the last 11 days since the client now syncs to the Cardano chain instantaneously. Developers have also released an interesting version of the ADA paper wallet in which the team says is the most secure and robust paper wallet that exists today. Also, the community will be pleased to hear that Cardano has partnered with the mobile systems and payment provider Metaps. The cryptocurrency Ethereum Classic has seen some excellent market support this week. The ETCDEV team who work on the core ETC protocol has released the Emerald Wallet which will be tethered to the team’s Emerald Platform. The new wallet shows key infrastructure support like Ledger nano compatibility, BIP 39, paper wallets and other features. After the ETCDEV released the Emerald Wallet v1.0 they stated over Twitter, “With much love ETCDEV Team is happy to release Emerald Wallet v1.0.0 to the ETC community.” The venture capitalist and well known ETC supporter, Barry Silbert, also tweeted about the new release. The cryptocurrency Qtum is off to good strides this year in 2018. The Qtum Foundation has revealed collaborations with two of China’s reputable software firms Qihu, and Baofeng. The company Baofeng has revealed the firm will help Qtum unleash 50,000 fully operational Qtum nodes within two years. Qihu 360 is one of China’s leading software companies with over 900 million users. Many believe the Baofeng partnership and Qihu 360 will add significant nodes and security to the Qtum network as a whole. There’s always a lot going on in the cryptocurrency space and this week is no different. Many traders and enthusiasts are at the edge of their seats wondering - What’s next for Bitcoin and cryptocurrencies? Most crypto-proponents are still very optimistic about the long term achievements blockchain will accomplish going forward. Coinmama will surely be watching and informing our readers of all the action taking place with new announcements and market action.